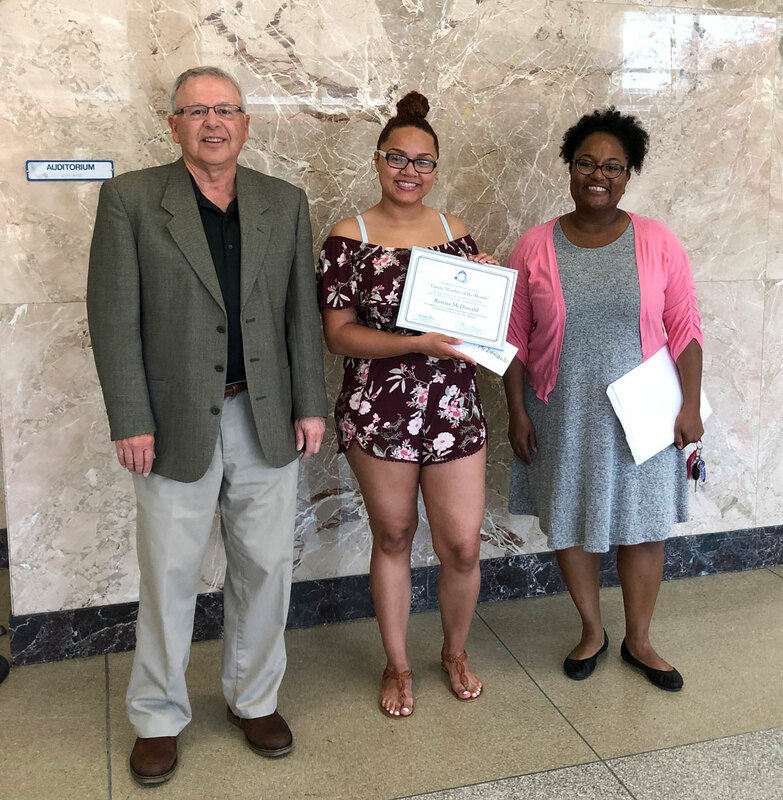 The Federation of Social Workers IUE/CWA 81381 were very proud, to recognize East High School senior, Renaja McDonald, as our "Future Member of the Month". Renaja plans to attend SUNY Buffalo to become a hospital social worker. She was honored for her academic and life achievements, which have been accomplished under challenging circumstances. 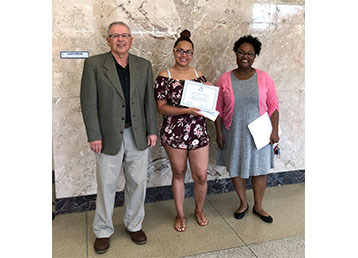 In this photo, Federation of Social Workers president, Kendall Bell (on the right) and FSW Retiree Council president, John Rabish (on the left) present Renaja with a certificate of recognition and a restaurant gift card. The members of the Federation of Social Workers wish Renaja McDonald great success in her future academic work and her professional career.